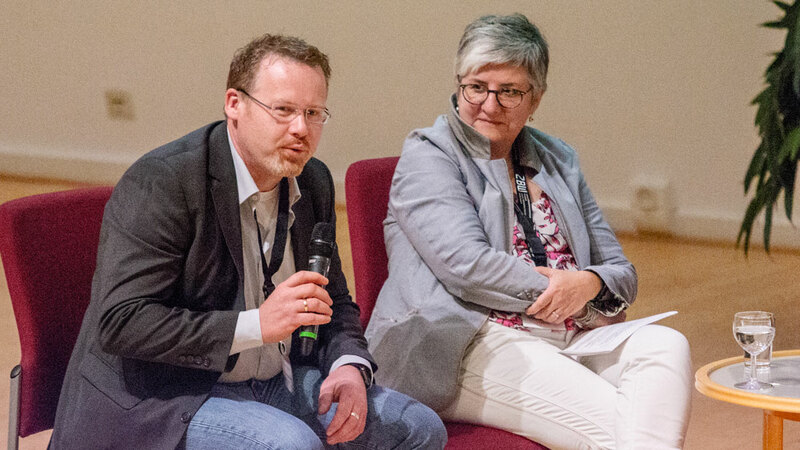 The prospects of digital transformation was the topic of a panel discussion at the GBV Association Conference 2018 in Kiel, with the title “The library of today – the library of tomorrow, will yesterday’s certainties still hold true tomorrow?“. Karin Wortmann summarises the discussion of the opportunities and challenges. As a prelude to the 22nd Association Conference of the German Common Library Network (Verbundkonferenz des Gemeinsamen Bibliotheksverbund – GBV), representatives from academia, the world of politics and the library sector discussed the prospects for libraries in the context of digital transformation. The hosts for the two-day conference, which took place in Kiel on 29 and 30 August 2018, were the ZBW – Leibniz Information Centre for Economics and die Kiel University Library. 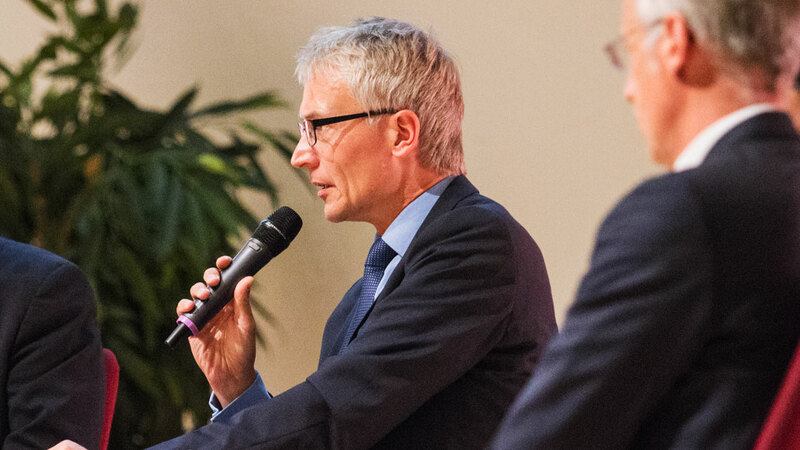 The business journalist Jan-Martin Wiarda, moderator of the podium discussion, linked the issues surrounding future certainties to a change in belief system and invited the six participants to join the discussion on the platform of Kiel’s main lecture hall. Each participant presented one of the central theses by way of introduction. 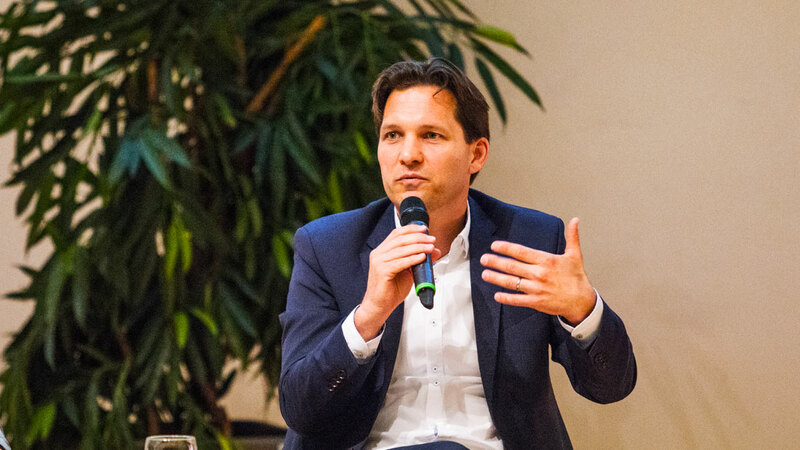 Dr. Oliver Grundei, State Secretary for Science and Culture in the Ministry of Education, Science and Culture of the State of Schleswig-Holstein, described the digital transformation as the biggest challenge of the century. In his view, politicians and academics have to ensure that people are part of this change and have to highlight the opportunities it presents. Measures such as the creation of a Digital Council at the federal level and a Digitisation Cabinet in Schleswig-Holstein are more than just “marketing campaigns” in this context, but send a clear signal to other people and are thus supporting the change process. Dr Rolf Greve, Senate Director of the Ministry of Science, Research and Equality of the Free and Hanseatic City of Hamburg, emphasised the rapid pace at which the digital transformation is taking place. Politicians should be laying the groundwork for this. The problem is not the change in itself, he argues, but the speed with which it is progressing. There is a risk that libraries will be left behind and displaced on the market by other institutions. It is crucial to push forward with common ideas at the European level and not to wait for other institutions to take action. The best ideas should prevail and succeed on the market. Prof Stefan Schmunk from Darmstadt Technical University pointed out that, as a result of the digital transformation, libraries would become superfluous in the future as a local source of information. He cited illegal platforms like Sci-Hub and Library Genesis as examples. Even academics at American universities, who have legal access to publications, are using the illegal platforms. The reason for this is the ease of access via search engines that make the publications researchers are looking for available to them with no detours and just one click. As a part of this disruption, the image that we have of libraries has changed, along with the old certainties and the central role of libraries as sources of information. Libraries are facing competition and have to react to it, according to Prof Schmunk. Elisabeth Müller, Director of Bremen State and University Library, pointed out that libraries have developed extensive expertise in the context of digitisation in addition to their traditional core skills in terms of structuring knowledge. But she believes that libraries have an image problem: they are still linked too closely with the book. In the public perception, newly acquired, digital skills in search engine technology, for example, are not associated with the role of libraries. The question is how libraries can communicate their knowledge and skills to their users. She spoke in favour of active communication with target groups by encouraging libraries to participate actively in research and teaching events. These new roles are also altering the demands on employees. Teaching abilities and a willingness to give presentations are among the skills that are now required. Not enough emphasis is being placed on these in librarianship training at the moment. Katrin Stump, Director of Braunschweig University Library, highlighted the role of libraries as partners in the research process in her opening statement. Libraries can help researchers with organisation and support for the research process. Tools can be developed with research informatics at the same time. Integration of the library into a specific university research unit from the outset is desirable, for example. At the same time, Ms. Stump called for the librarianship training sector to focus more on topics such as data science and data literacy. The field of mediation of information literacy has already arrived in libraries. Learning management systems are being developed intensively. But universities must make more use of these resources, she argued. Information literacy experts at Braunschweig University Library are fully certified and have received training in teaching. Prof Klaus Tochtermann, Director of the ZBW, returned to the topic of the pace of change. His argument was as follows: Change processes outside the world of libraries are taking place ridiculously quickly. Libraries, by contrast, are acting or reacting extremely slowly because of their institutional framework conditions. Internally, libraries are in a very good position in terms of digitisation. Externally, libraries need to work more closely with academics. In future, huge areas will be added to the publications on which libraries have always focused. Research data, open educational resources and software are part of a research process package along with traditional publications in the digital world. Libraries must be in a position to work in all of these areas, or else people will use services other than libraries. This is already being discussed and understood in libraries. But it is not only internal library processes that require consideration, libraries also have to optimise their external position by connecting to university systems, for example, to make ongoing FID applications (applications for funding for academic information services) transparent. How is it possible to bring everyone along in the transformation process? The ensuing discussion repeatedly came back to the issue of how libraries can bring as many employees as possible along with them in this transformation process. Everyone agreed that people will continue to be the main focus. Communication and mediation of changes is particularly important in this context. Opportunities for training and cooperation must be highlighted. At the same time, it is essential to bring the current training courses in librarianship into line with future requirements. In addition to the traditional capabilities of the librarian, additional skills in the fields of informatics, research data management, teaching and open science are becoming important. Lifelong learning and managing change are becoming the normal state of affairs. From the audience there was a call for more flexible structures within collective wage legislation, as the current regulations in the collective wage agreement for regional public services (TV-L) do not reflect the changing requirements in terms of qualifications. 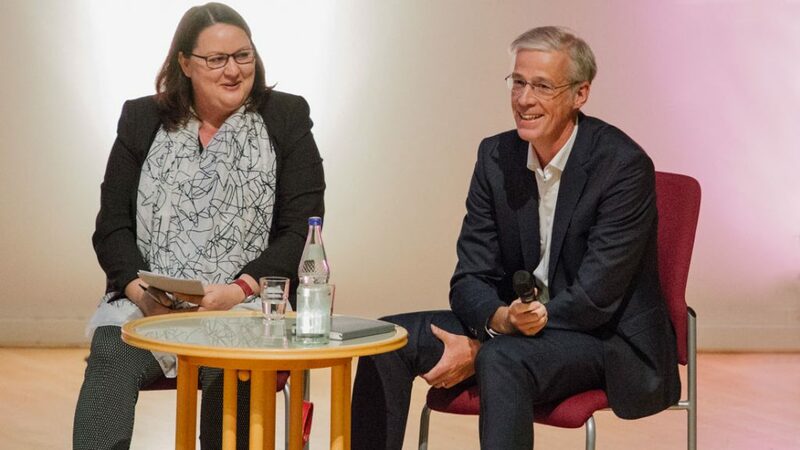 Libraries should take an active approach in dealing with university management and research and should shape the issues of the future with self-confidence if they want to be perceived as partners in research and teaching and to be integrated into research processes. Prof Tochtermann identified the Leibniz Research Alliance Science 2.0, initiated by the ZBW in 2011/2012, as a successful example of this. The trans-disciplinary Leibniz Research Alliance Science 2.0 is investigating the impacts of Science 2.0 on academia and society. Issues relating to new working habits, technological developments and practical research are at the heart of this. Expert committees, such as the German Council of Science and Humanities, have shown the path ahead in their position papers and it is now time to follow this up with concrete projects, urged Dr Greve. Employees must continue to take training courses and work with academic partners outside libraries. But ministries must also reach out to others. In Hamburg, there are already three pioneering projects, including the Hamburg IT platform ahoi.digital. Here the Department of Computer Science at Hamburg University, the Hamburg University of Applied sciences (HAW), the Technical University of Hamburg (TUHH) and the HafenCity University are developing their collaboration in education, research and technology transfer. Another example is the Hamburg Open Science (HOS) project: a planned internet portal that will make academic publications, research data and information about research projects, open access and open science available centrally. A third project is the Hamburg Open Online University (HOOU), which is exploiting the opportunities of digital technologies in digital courses, as a complement to traditional teaching. Not only students, but also other interest groups are the target audience here. This project therefore involves transfer to society, too. 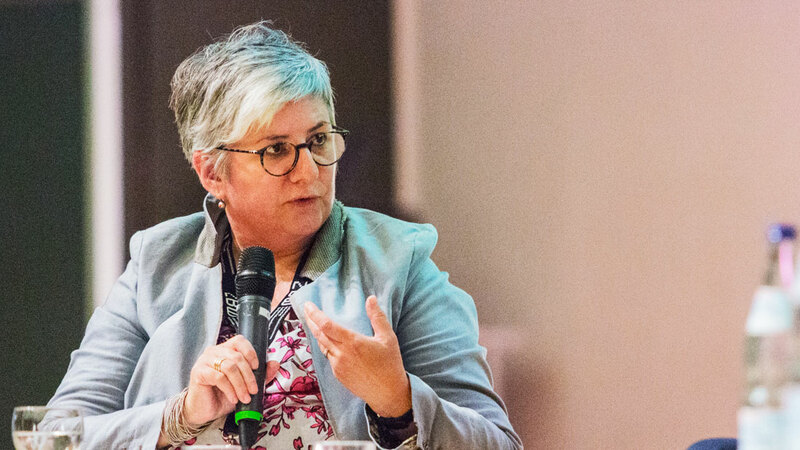 As far as financial support for academic projects is concerned, which is already well organised in Germany through the German Research Association (DFG), Ms. Stump made an appeal to politicians to create structures beyond national boundaries that will ensure the sustainability of projects. Prof Tochtermann also called for adequate funding from the outset. Too many projects start out with implementation objectives. But it is important to finance strategic projects, too. While the discussion concentrated on academic libraries at first, the suggestion came from the audience that libraries should be perceived as learning and meeting places in future. With the changes in the field of education as a result of digitisation in the direction of availability of materials irrespective of location or time and collaboration and participation in teaching and learning contexts, the demands on libraries as places of learning are also changing. Public libraries offer access to learning and teaching materials and support people in all areas of training and further education. At the same time, people can meet there, communicate with one another and engage in social interaction. At the end of the panel discussion, the participants stressed the fact that libraries will maintain their core competence in indexing and providing resources in the digital age – only the media will be different. The transformation process requires effective, activity-specific training, IT skills, strong commitment on the part of employees and close cooperation with research and teaching. Libraries must see themselves in this context as learning organisations and develop with the involvement of everyone who interacts with them. They are learning, working and meeting places, in which people continue to be the focal point. 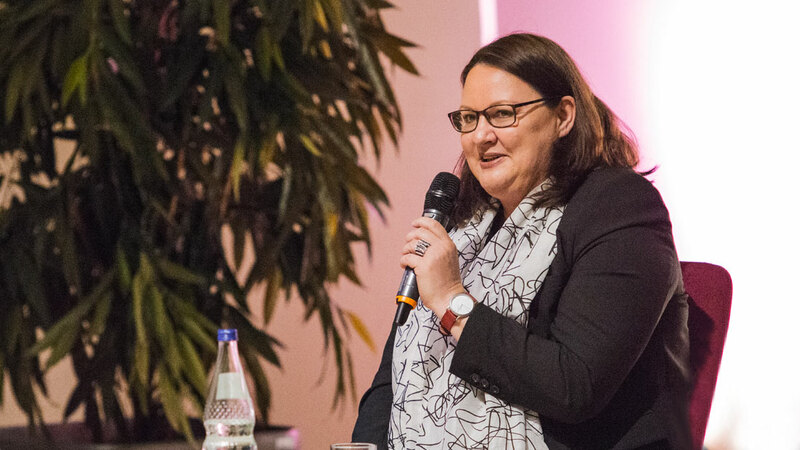 Author: Karin Wortmann | ZBW – Leibniz Information Centre for Economics | Head of Holdings Development and Metadata | Head of the Department of Academic Services. MOOCen in Bibliotheken: Wieso? Weshalb? Warum?